Over the last one year I have seen Chef Ashwini’s research and then his work on each specific dish for the festival. At the time when the whole world was busy either doing experiment with fusion or with modern presentation, he is silently promoting Indian food in its real Avatar. No fusion, no modern presentation and no gimmick. His passion and in-depth research on food make his food so close to the place that at times I wonder how he does that. I would also like to add that after eating at Dilli 32 for over a year and having experienced a different kind of festival, I can say with confidence that Chef Ashwini is the best Indian chef Delhi can ever get. 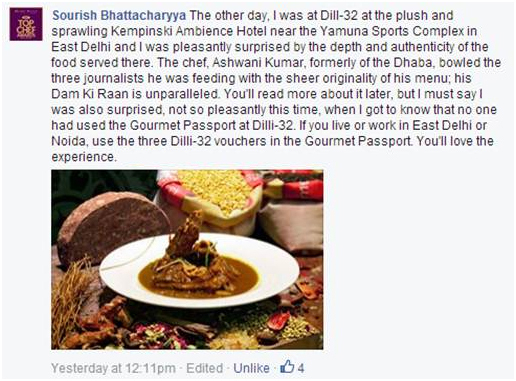 "Delhi Gourmet Club Facebook page"
Ashwani found his Indian culinary calling 19 years back and there has been no looking back ever since. 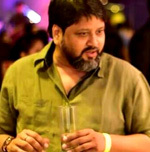 Having sharpened his creative and innovative skills with stints at some of the great hotels all over India. 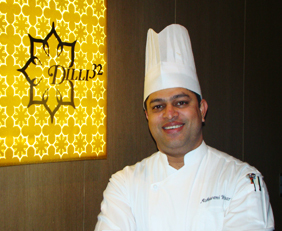 He now leads the culinary brigade at award winning restaurants Dilli32, Kempinski Ambience Hotel, Delhi.